Made from pure, vegan, raw ingredients, the following baths and scrub speed up the detoxifying process during your juice cleanse. Add a bath or two and a scrub to your Juice Pack! Put down your cell phone. Shut down the computer. 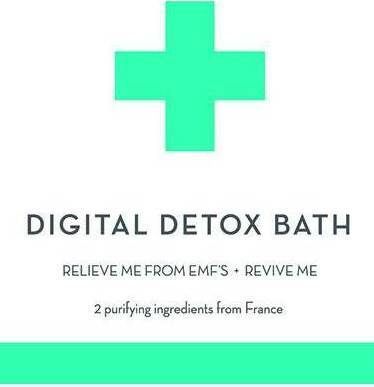 Digital Detox Bath is a powerful agent to aid in environmental detoxification and the reduction of muscle tension from stress or a tough workout. French grey sea salt helps to stimulate circulation and blood flow, relieving stiff joints, muscle cramps and opening the body’s cells to deep cleaning. Montmorilonite green clay assists in attracting unhealthy, positively charged radiation that accumulates in the body through the use of lap tops, cell phones and electronic devices. Through iconic exchange, toxins are sucked out of your body giving you a deep body reboot. Digital Detox Bath will enhance your juicing experience big time! Get ready to detoxify the body with the sea’s restorative minerals. French grey sea salt aids in stimulating circulation as you soak, sucking out toxins on a cellular level. Atlantic kelp assists in revving up the lymphatic system and adds essential minerals and fatty acids that nourish the skin (good bye cellulite!). Potent algae assists in ridding the body from heavy metals and radioactive materials, helping to reverse the damage and stressors of everyday life. 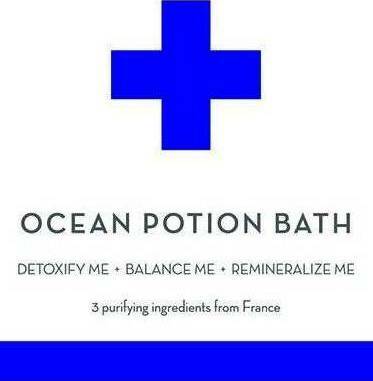 An ideal remedy bath to bring relief from chronic fatigue or to cleanse yourself from electromagnetic overload. A great addition for your juice cleanse! Go deep with this body mask. French green clay (Illite) can aid in bonding with toxins and pulls them from the body creating accelerated detoxification. Illite clay is also known for its anti-septic and anti-bacterial properties that can make it a great soothing agent for acne, eczema, psoriasis and other skin related issues. Potent and vital, this unique living clay helps to absorb impurities and excess oil to deeply cleanse and exfoliate pores, leaving skin feeling silky soft, smooth, and radiant. 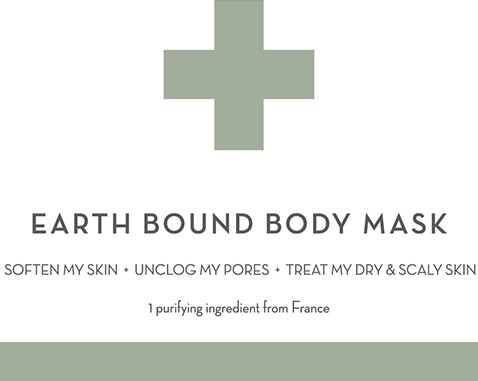 Body Body Mask can penetrate down to the deepest cellular level for a calming effect. Perfect salvation for your juice cleanse!